There is more than one artist with this name: Rico Rodriguez was born Emmanuel Rodriguez on October 17, 1934 in Kingston, Jamaica). As a trombonist and composer he is among the founding figures of Jamaican popular music. With roots in jazz as well as in the sound of African rooted burru drumming and so-called Rasta-chants Rico took part in developing Jamaican music from rhythm & blues to ska and reggae. Rico Rodriguez was born Emmanuel Rodriguez on October 17, 1934 in Kingston, Jamaica). 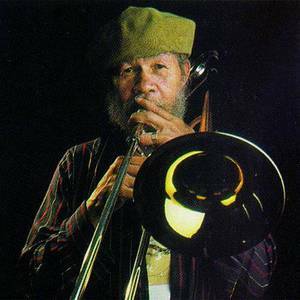 As a trombonist and composer he is among the founding figures of Jamaican popular music. Rico performed worldwide and dedicated himself more and more to play with musicians from all over the world.